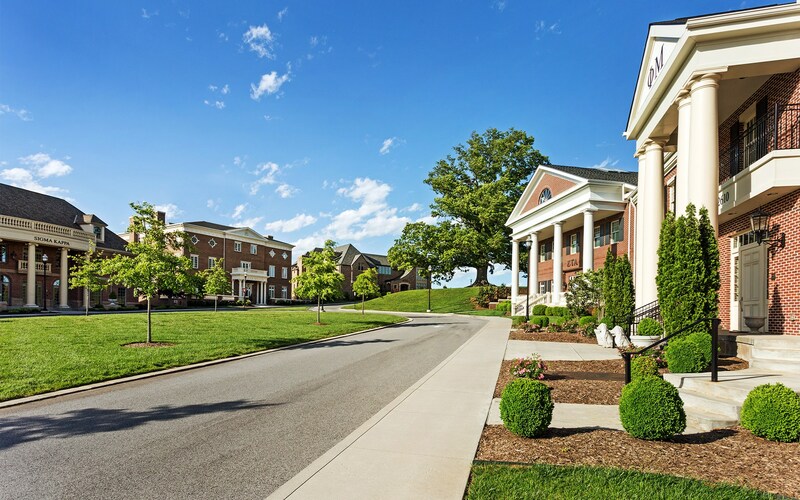 Gresham Smith initially provided a master plan for the 13.5-acre property owned by the University of Tennessee for the sorority housing development. 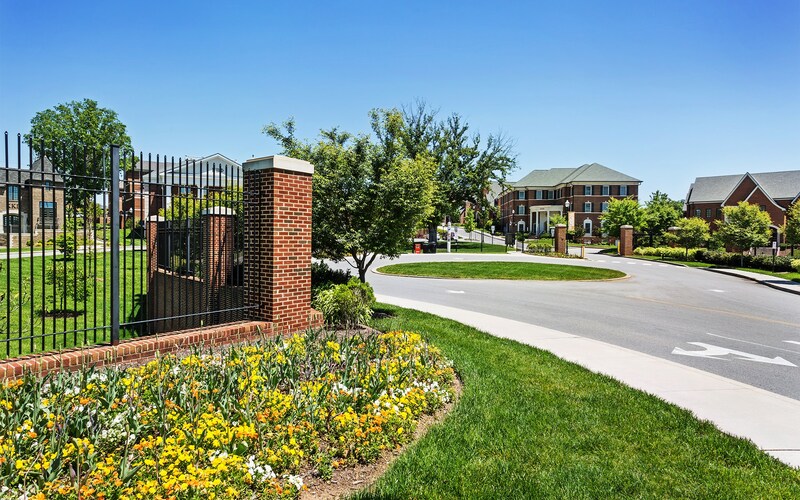 A gated community was developed for one university building and 13 sorority houses. 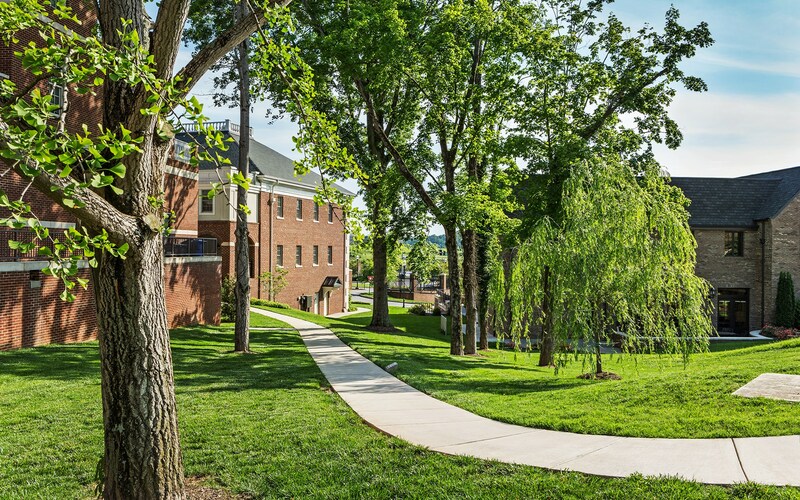 The university building was located near the entrance to the site and the houses were placed around the property to provide the residents with a sense of community. 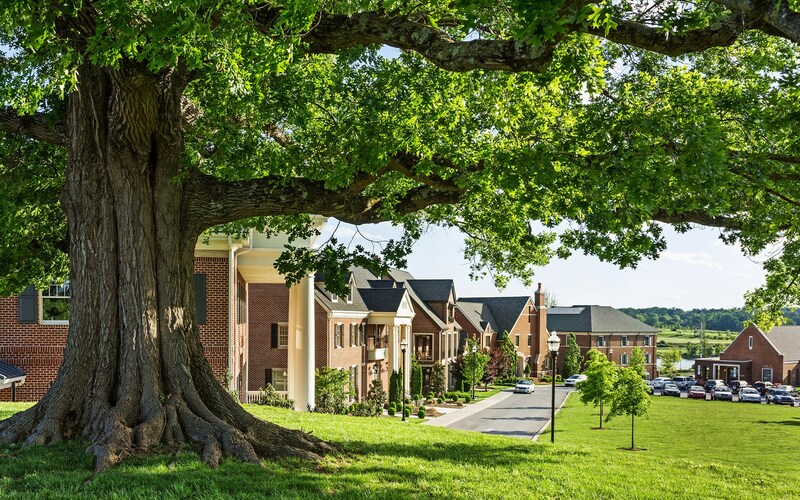 The master plan also provided abundant green space and preserved mature foliage and a beautiful, historical oak tree on site that dates back to the Civil War era. To support proper traffic circulation and accommodate deliveries, roadways were designed around the perimeter of the site along with approximately 500 parking spaces. 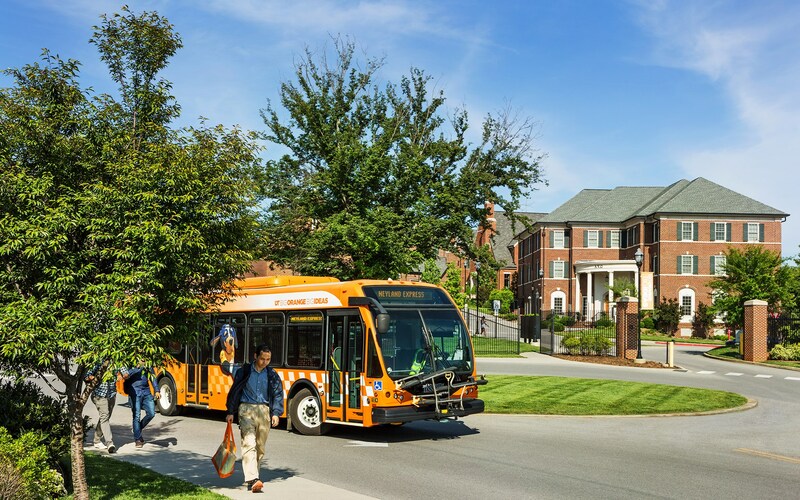 Since the development is located a short distance off the university’s main campus, a transit area was designed at the entrance for the university to provide bus service to the main campus. 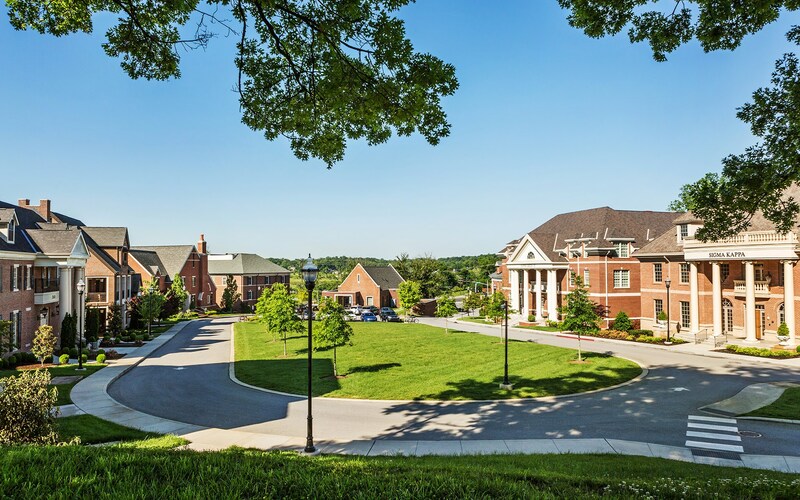 Following approval of the master plan, Gresham Smith provided the professional services necessary for the infrastructure design, bidding assistance for the university and construction administration for the duration of the project. The infrastructure design involved extensive grading, multiple retaining walls, a stormwater collection system, stormwater detention and treatment, roadways, sidewalks, parking, utilities, landscaping and fencing. 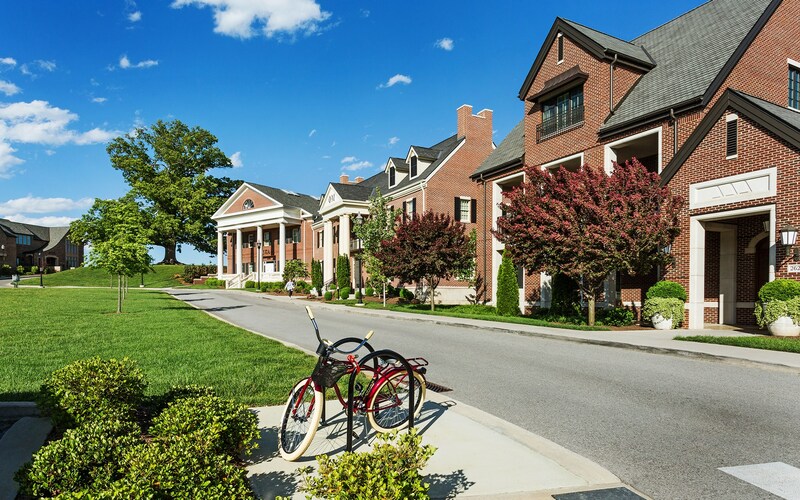 The utility design included the sanitary sewer collection system, water distribution system, gas distribution system, telecommunications, site lighting and all easements required by the Knoxville Utilities Board. 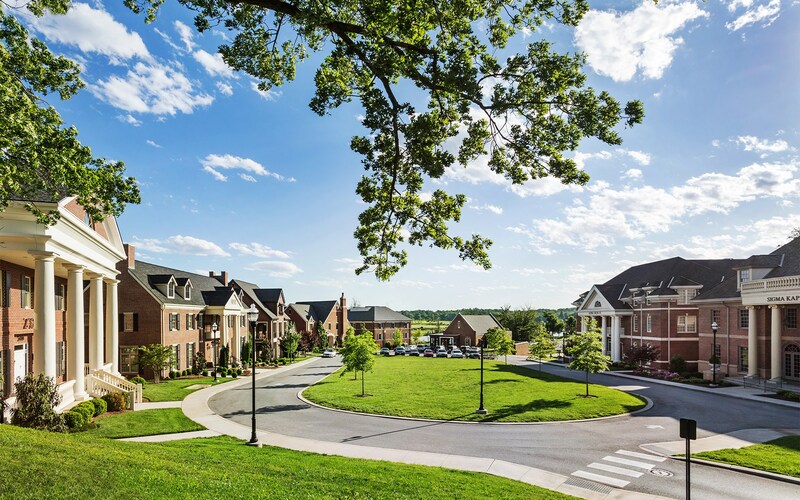 During the construction administration phase, Gresham Smith assisted the university with coordinating the remaining infrastructure improvements with the various housing contractors. 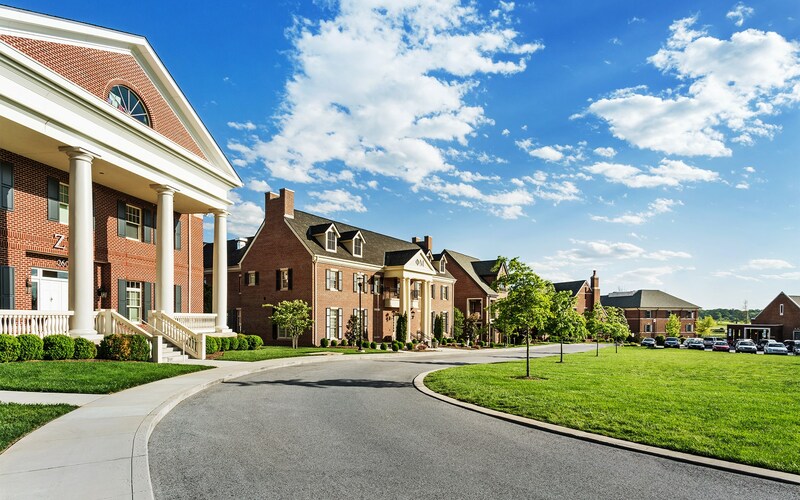 The result is an appealing collection of lots that provides an inviting setting for the university’s 13 striking sorority homes. Our team develops creative solutions for the world's toughest infrastructure problems. 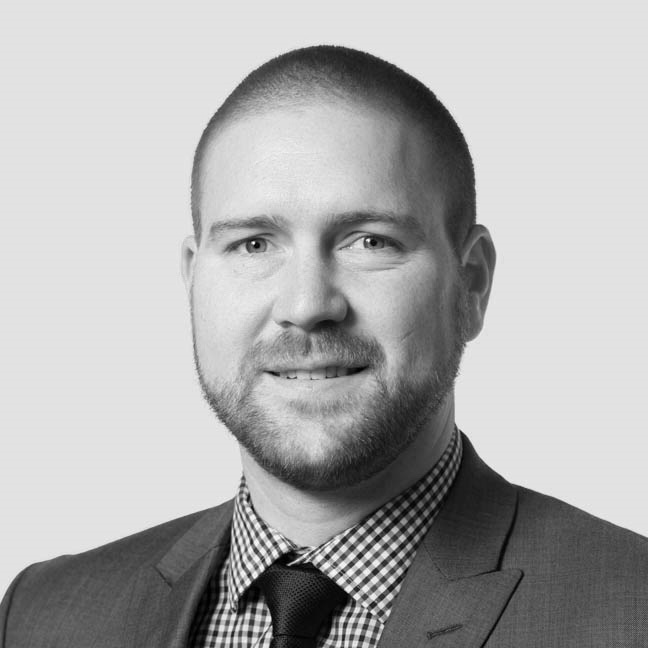 Learn more about our Engineering expertise.